Finance Minister has taken a middle path in this budget. It has rolled out many schemes to stimulate basic sectors like Education, Infrastructure which is expected to give a boost to overall economy. IT support for better governance has been identified as a crucial element and Indians can look out for better interaction, early resolution of queries and grievances with various tax departments in times to come. FDI and FII investments are being liberalised. India Budget 2011 doesnot offer too many tax soaps. 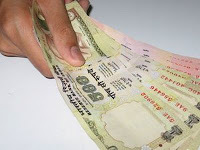 Steps are being taken to move to GST and DTC regime, which is expected to be in force from 01-Apr-2012. • Silence over continuation of STPI scheme. Currently the STPI is coming to an end on 31-Mar-2011. This shall hit the SME segment hard. • MAT (minimum alternate tax) imposed on SEZ units @ 18.5%. Large companies shall be impacted severely with this move as they will have to shell out close to 20% (including surcharge and cess) as income tax on their book profits. • Many new services brought under service tax net. Major ones include Air travel, AC Hospitals, AC Hotels & restaurant with bar, Life Insurance companies etc. • Proposals are underway to remove tax return filings for salaried class and small tax payers who have already paid their taxes through their employers. New form called SUGAM shall be introduced. eLagaan shall introduce these forms as they are notified. When you file your taxes at eLagaan, you may relax and not worry for changing formats anymore. • Air travels to cost more and so is AC hotels, restaurants and hospitals, as these services has been included in service tax net. Fuel, branded clothes to cost more.